FRIDAY, Nov. 18, 2016 (HealthDay News) -- A major New Orleans hospital has seen a sharp spike in the rate of heart attacks in the 10 years since Hurricane Katrina devastated the city, a new study reports. 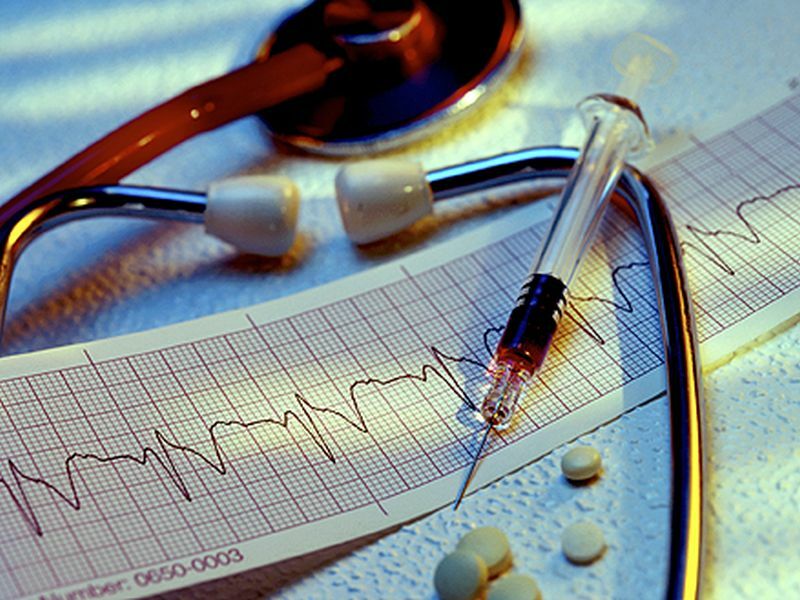 Heart attack admissions to Tulane Medical Center were three times higher during the 10 years after the hurricane struck in August 2005 than in the two years before that, according to researchers. "Although the general emphasis after an event such as Katrina is on rebuilding, we should not neglect the health of those affected by a disaster," said lead author Dr. Anand Irimpen. He's a professor of medicine at Tulane University School of Medicine and chief of cardiology at Southeast Louisiana Veterans Health Care System in New Orleans. The study included 150 records from heart attack patients seen at Tulane Medical Center in the two years leading up to Katrina, and more than 2,300 records from heart attack patients seen after the storm. Irimpen and colleagues also found that post-Katrina heart attack patients were much more likely to have other heart disease risk factors than pre-Katrina patients. For example, after Katrina, 48 percent of people had coronary artery disease compared to 31 percent before the storm. Forty percent had diabetes compared to 29 percent prior to Katrina, researchers said. Other heart risk factors that are higher now include high blood pressure (81 percent vs. 74 percent); high cholesterol (59 percent vs. 45 percent); and smoking (54 percent vs. 39 percent), the study revealed. The study findings were presented this week at the American Heart Association's annual meeting, in New Orleans. "This massive natural disaster may have had a greater impact on the development of chronic medical diseases than originally realized," Irimpen said in an AHA news release. Post-Katrina, people were also more likely to receive prescriptions for heart disease medications and drugs to lower cholesterol and high blood pressure. But they were half as likely to take their medications compared to pre-Katrina patients. The researchers also found that post-Katrina patients had higher rates of other health problems. For example, they were more than twice as likely to abuse drugs and/or to have a mental health disorder. They were also much more likely to be jobless and to have no health insurance.